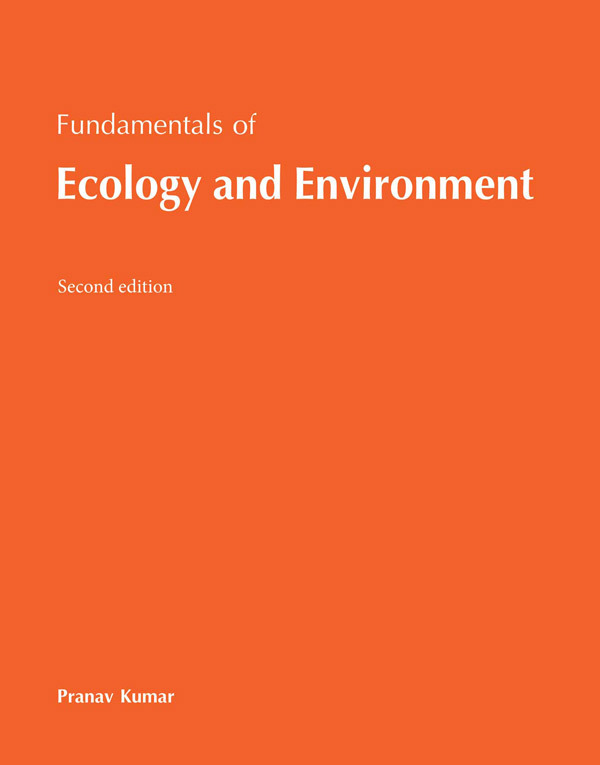 This book "Fundamentals of Ecology and Environment" has been written for a broad span of readers spanning from undergraduate students to researchers. Although, the content and text flow has been kept very simple, recent updates and events have also been included in the textbook. This book is divided into four parts– Basic ecology (The Environment, Ecosystem Ecology, Population Ecology and Community Ecology), Biodiversity, Pollution and Climate change, almost distributed evenly into seven chapters. The book is organized to provide an even, logical flow of concepts and clear illustrations of the major ecological and environmental issues. I hope that this book will be utilized intensively by students and ecologists to gain a basic understanding of ecology. Fundamentals of Ecology and Environment is intended to go beyond the traditional helping books. This books covers the regular curricula of various degree courses in Indian universities pertaining to environmental sciences, ecology and ecosystem biology. Besides, routine curricula this book is intended to benefit students preparing for CSIR-NET (Life Sciences), UGC-NET (Environmental Sciences), GATE - Life Sciences, GATE - Ecology and Evolution, M.Sc. Botany and Zoology, Environmental Sciences and M.Sc. Wildlife courses of several National and State Universities.